How are we designing shopping exeriences in the future? Lighting sets the scene, showcases products and creates specific incentives to buy. See how you can present products to sales-boosting effect. Look forward to lighting solutions that are both esthetic and efficient, and make more of your offering and use OSRAM lighting solutions that integrate seamlessly into the design of your sales rooms. Promote special offers, get to know your customers better with the help of Beacon technology, and experience how easy it is to connect your lighting infrastructure to EINSTONE Beacon technology. Use smart lighting technology by OSRAM Lighting Solutions to build your brand and enhance brand recognition. Increase sales and increase efficiency. OSRAM helps you to promote your sales and to optimize operational costs at the same time. 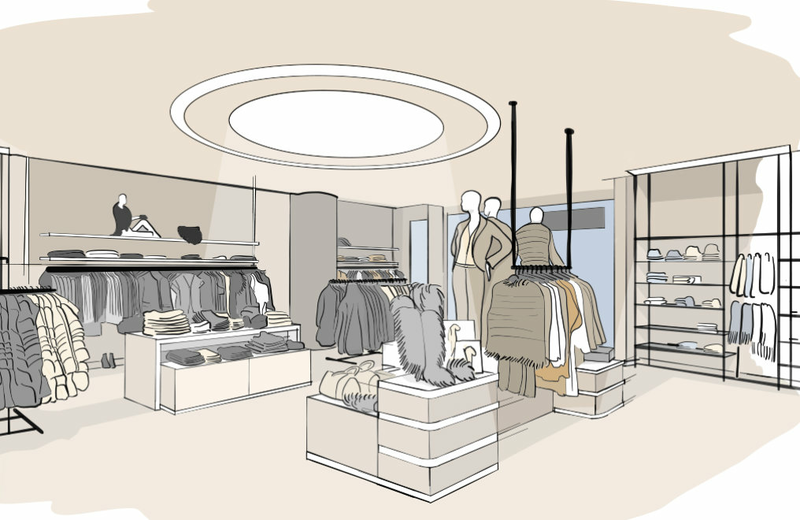 As a complete solution provider, we can offer you perfect lighting solutions for every application and requirement in retail environments. As attractive, decorative or elaborate as you desire. And as efficient, functional and flexible as you need. With white and colored, static and dynamic lighting. From single retrofit light sources and luminaires to complete controls and lighting management. From simple installations to professional systems. Thus you will not only be able to benefit from the best possible lighting solutions. You will be able to profit from satisfied customers, who like to shop in your store and increase your sales. A pleasant and welcoming atmosphere sets the stage for your goods. Showcase your merchandize like actors on the red carpet, make them a star and steal the limelight by presenting them in the best light. This will give your customers a unique experience during their shopping spree. Give your merchandise the right setting by highlighting certain areas or dim the lights down a little; see how the mood in your shop changes. Switch the lighting from cool to warm white or let the whole shop appear in a natural light - you decide. An inviting shopping atmosphere is more than a room filled with products. It’s a carefully composed and a hundred times tested arrangement that pleases the eye of your clients. Like them, you care about every detail. For instance, the right components ensuring a stable level of quality or the perfect light angle to highlight your desirable objects. 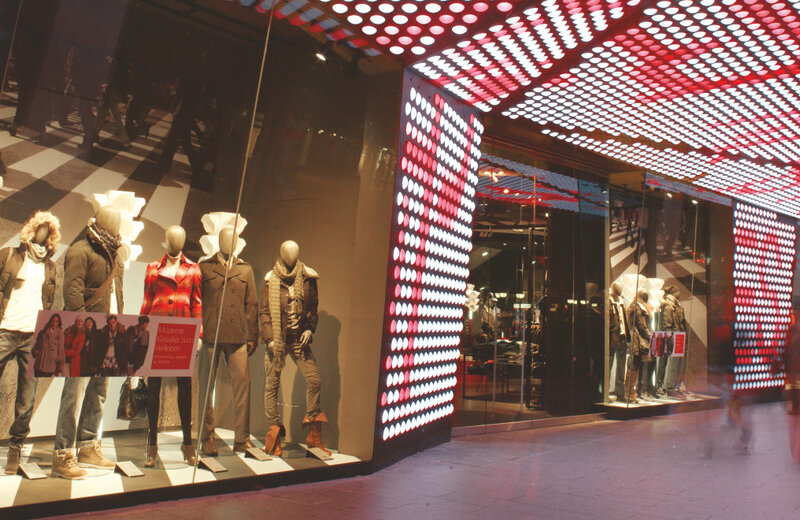 So, when it comes to retail lighting choose LED components from a partner with decades of experience and the power to help you accomplish your project. OSRAM’s broad portfolio of innovative ultra high power state-of-the-art LEDs offers a spectrum of infinite possibilities for indoor lighting, especially for professional spotlight applications. Their Chip-on-Board design make them easy to in-stall and easy to mount with off-the-shelf solderless connectors and lenses. And you can be sure to benefit from their luminous efficacy. 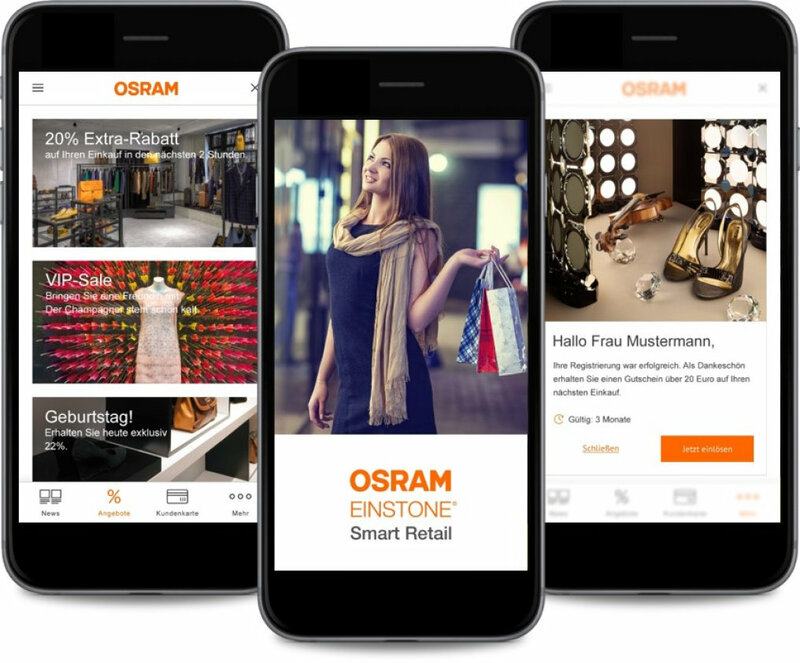 OSRAM EINSTONE combines Beacon technology with the lighting infrastructure to enable location based services. More information on OSRAM showcasing its most recent developments for product presentations in retail outlets!